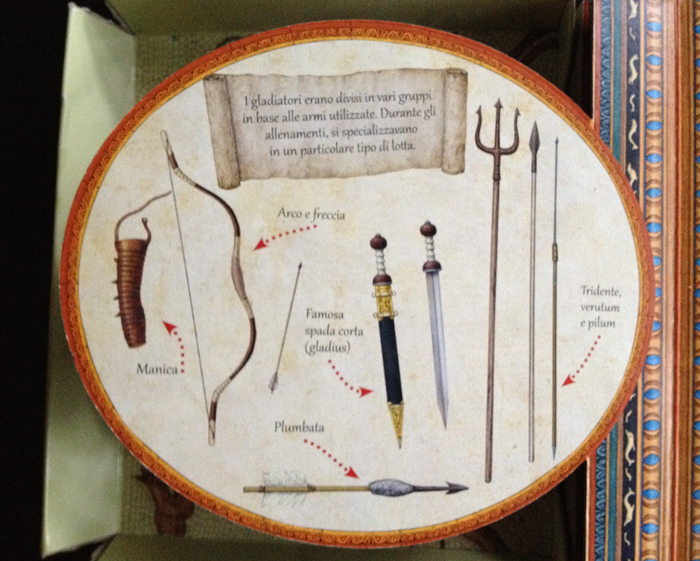 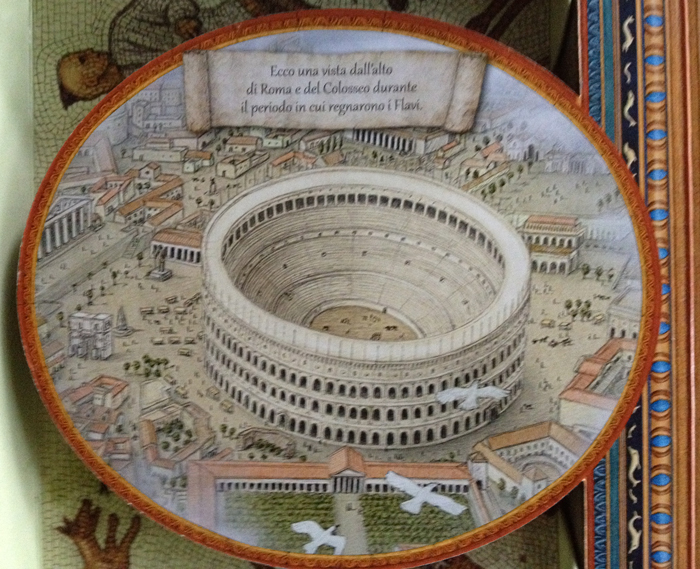 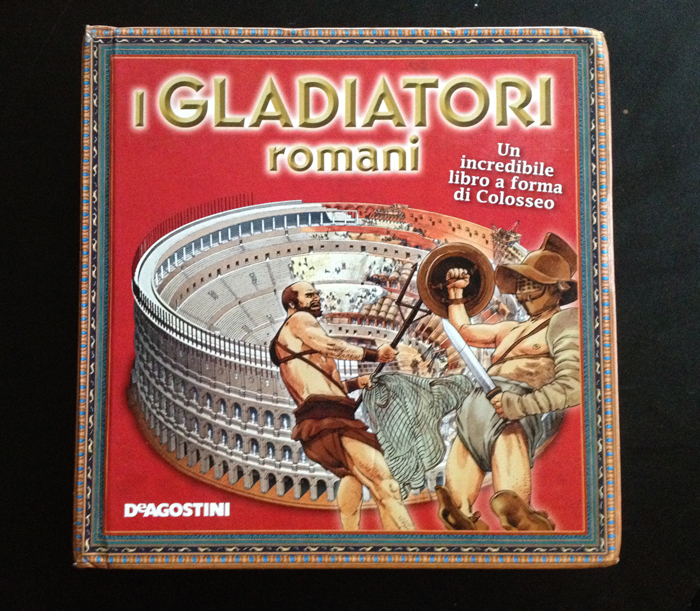 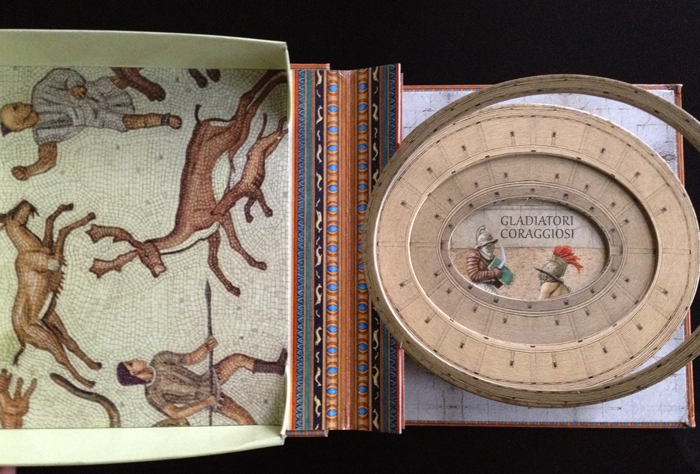 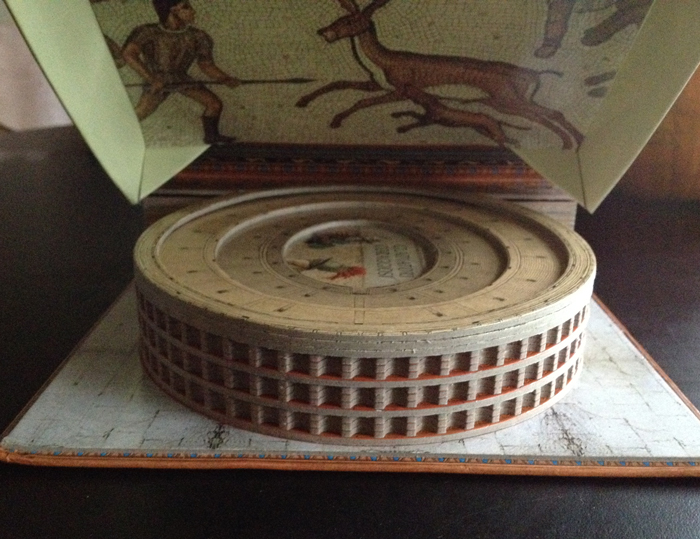 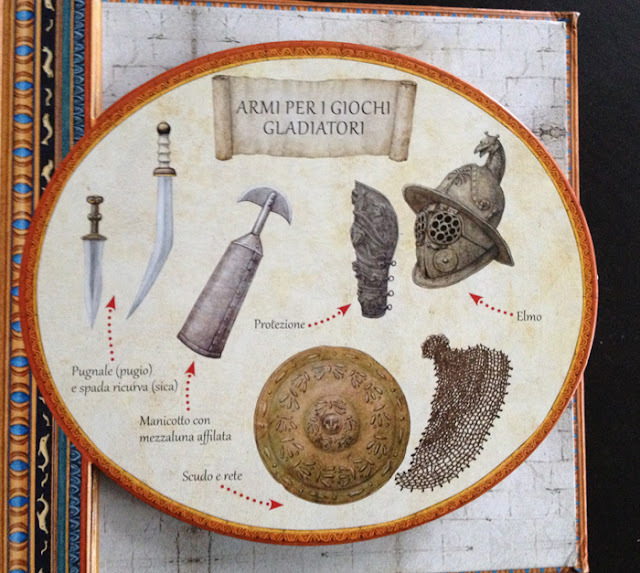 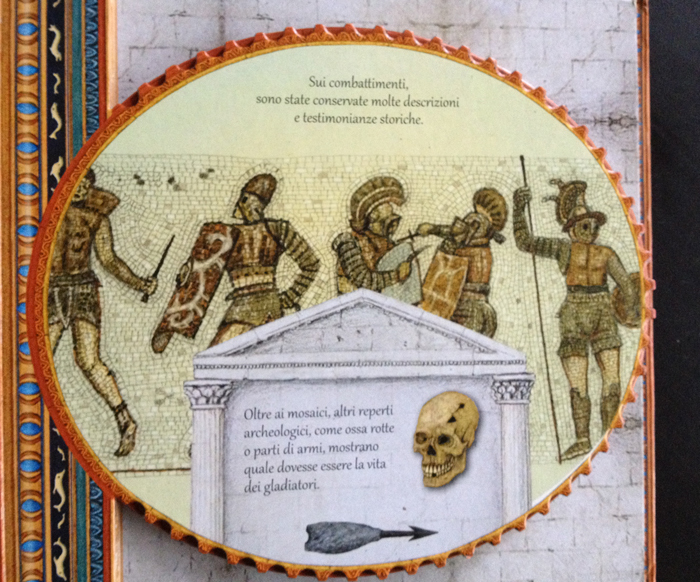 The book was perfect for my four-year-old son, who became obsessed with gladiators on our trip. 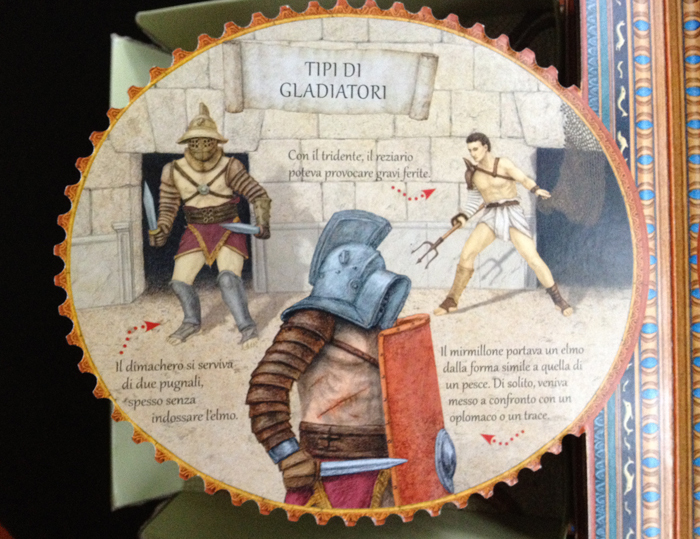 The illustrations are really beautiful and the book provides a nice historical context for the world and culture the gladiators lived and fought in, which I was able to explain to him despite knowing very little Italian. The book uses mosaics and historical evidence of the existence of these guys who seem even more wild than anything Stan Lee could imagine. 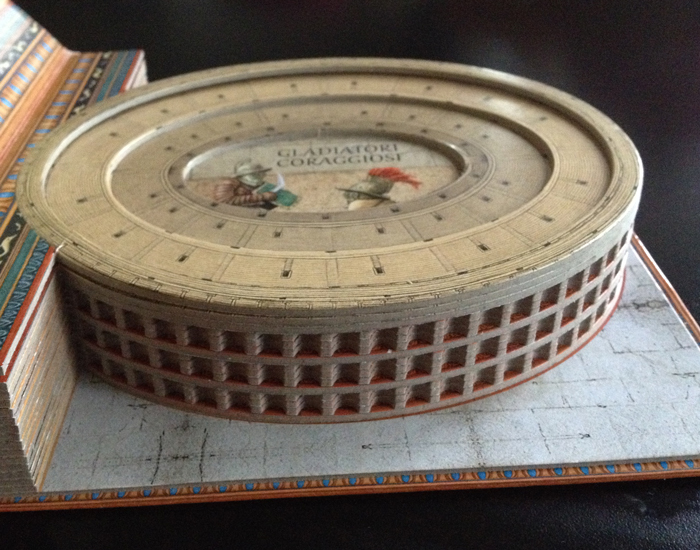 The parts about the Colosseum and the types of gladiators and their weapons kept him enthralled for hours on the plane ride home. Of course, I hoped the page about the gladiators' diet would encourage him to eat more proteins and vegetables, but that still hasn't happened. 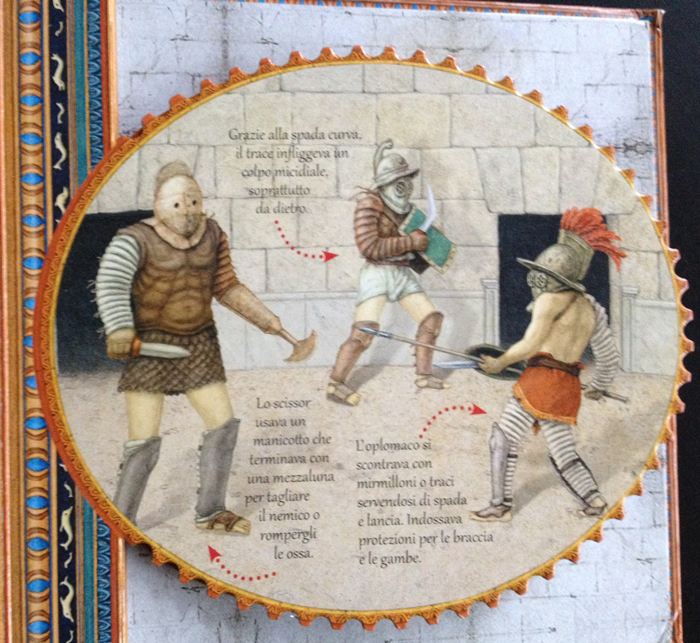 I could hardly believe the one on the left was for real. 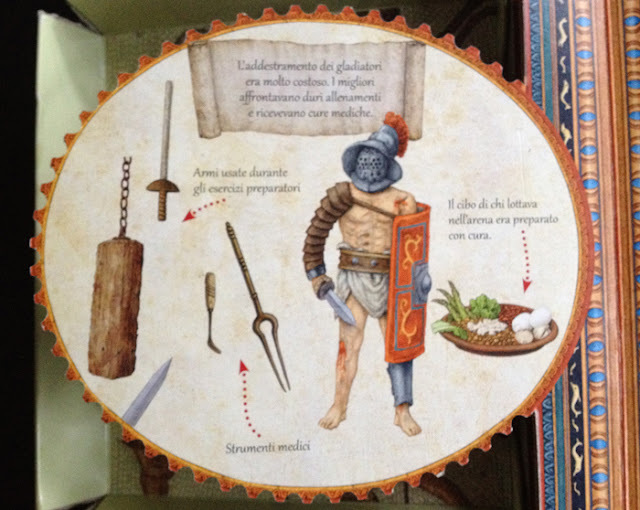 But he was. Iron Man wouldn't stand a chance.